How Can the Puritans Help Seminary Studies? This shows just how closely related doctrine and practice were for the Puritans. This can be directly correlated to the seminary student of today, namely to live, love and apply the doctrinal truths learned in their studies to their daily lives. It is pointless in my opinion to enter seminary studies if this is not the student’s ultimate goal. The Puritans are one of the best examples of just how this is to be accomplished.The Puritans can also help the seminary student to read the Scripture through an Christological lens. A major principal of interpretation used by the Puritans was the idea, firmly rooted in Scripture, that all of God’s Word points to Christ. This can help the student immensely in their studies because once the student grasps this important hermeneutical principle they will see the bible in a deeper and fuller sense. Any student studying the Scriptures should desire this, namely to see Jesus Christ in all aspects of their theological studies. We can see from this beautiful quote that the Puritans were zealous about prayer and took prayer seriously. They give a great example to follow and the seminary student can learn that even the most studious of students must obtain their education through thoughtful time spent in prayer. Lastly, the Puritans can teach the modern student a great deal in nearly every aspect of the Christian life and practice. 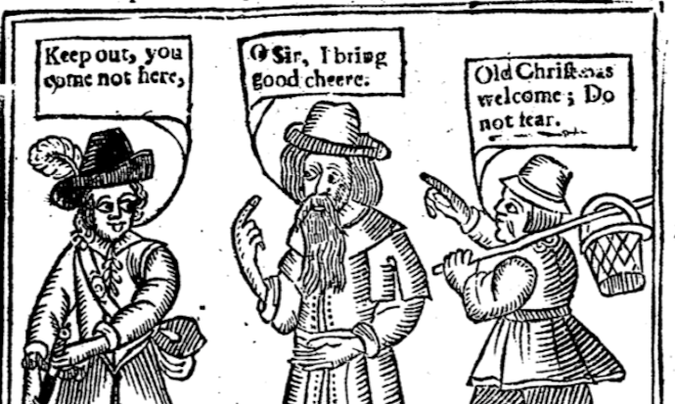 I outlined in this paper a few examples of this, but the Puritans can teach us so much more. Whether its zeal for God, the sufficiency of Jesus Christ in all things, the atrocious nature of sin, or the proper understanding of doctrine. The Puritans were great teachers from the past and the modern student would be wise to learn from such men. The Puritan Study, “The Delights and Pains of Puritan Study”, https://spurgeon.wordpress.com/2006/09/06/the-puritan-study-part-1-the-delights-and-pains-of-a-puritan-study.html (accessed March 27,2014). Peter Lewis, The Genius of Puritanism, (Grand Rapids: Soli Deo GloriaPublications, 1977), 12. Joel Beeke and Mark Jones, A Puritan Theology: Doctrine For Life. (Grand Rapids: Reformation Heritage Books, 2012) 31.